Nature and environment conceptual posters. 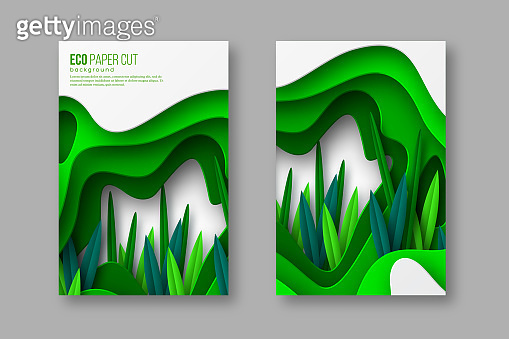 Nature and environment conceptual posters, papercraft layered art. Shapes with shadow and leaves in different green tones. Ecology, spring or summer time cards. Vector illustration.